Is Your Annapolis Water Heater in Tip-Top Shape? A water heater is any appliance you use to raise the water temperature in your home. It’s one of the most ignored devices at home. It works faithfully in the background. You don’t think about it as long as it’s working. But there is a need to maintain your water heater. 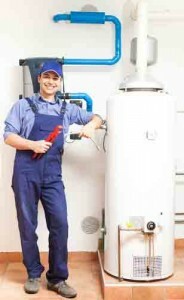 For longevity, annual maintenance of your water heater is critical. As the water is pumped in and out of your tank from our Annapolis water supply, mineral deposits collect on the bottom. If your region is served by hard water, the sediment collection is even faster. The sediments are ugly and substantially reduce the efficiency of your water heater. Your heater has to use more energy to do the same job. This inefficiency is reflected on your electricity consumption bill. The sediments if left unchecked increases the corrosion rate. This may lead you to replace the entire unit because of a small problem. One day you may turn your shower only to be hit by cold water. That’s when it hits you your faithful servant has died. Your heater has broken down. A mere maintenance could have prevented this expense you barely can afford. Often, the causes are much cheaper to prevent than repair. Hence, annual maintenance saves you a lot of money. Support will allow technicians to detect a worn out anode and replace it. They will also clean your tank increasing your heater efficiency. Every tank is equipped with a long replaceable rod of zinc that is attacked first by corrosion. It’s called the anode. Replacing it is important. Its inspection and replacement are an important part of the technician’s job. It’s the small thing they do that saves the big buck. You have all heard of water heater explosions or electrocutions. Lack of maintenance causes all these problems. Electrocutions are especially frequent with instant shower types. These water heaters are of the tankless type where a coil heats the water. If the heater is not well earthed, the results can be catastrophic. In Annapolis and abroad, water heaters need constant maintenance. It saves you not only unpleasant surprises but also money. When it comes to your choice of maintenance technicians, you need to make a wise choice. Make sure the company is registered. Also, check on its reviews online. Ensure it has the right manpower to handle your type of water heater. If you haven’t had your Annapolis, MD plumbing system checked out, there’s no better time than now to call Heidler, Inc at (410) 268-7191!